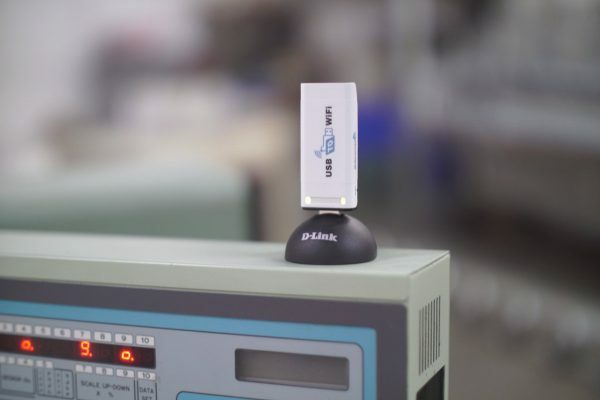 Wireless File and Data sharing for almost any equipment with USB compatibility! The USB to Wifi device does not require any drivers! 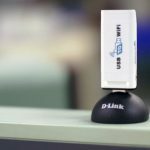 TRANSFER DATA FROM YOUR PC TO YOUR EQUIPMENT WIRELESSLY! Wirelessly share files and data between your PC and almost any equipment with a USB port. 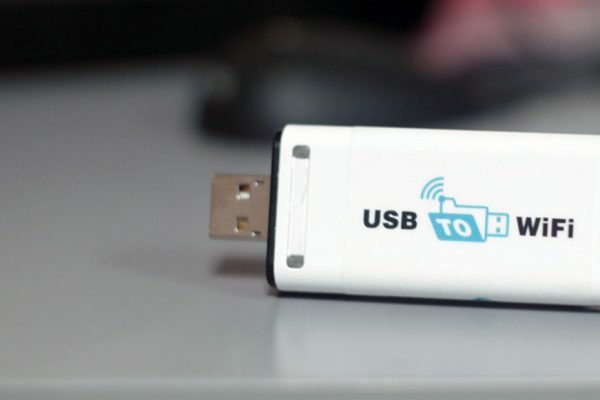 The USB to WiFi device wirelessly shares files from a host PC and makes it look as if it were a standard USB memory stick. 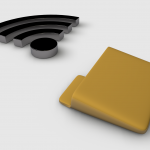 With multiple USB to WiFi devices, you can wirelessly share single folders or share multiple folders and files. Our USB to WiFi device will allow you to add “basic networking capabilities” to equipment that cannot otherwise easily or cheaply upgrade. 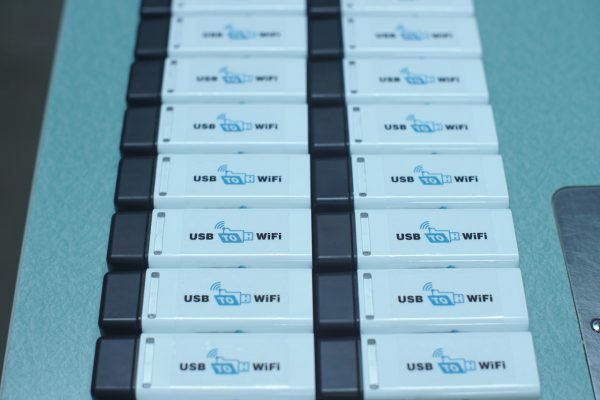 The USB to WiFi device has been successfully used to upgrade equipment such as Embroidery Equipment and CNC Machines. Why do I need the USB wifi stick? Read AND Write compatible The ‘USB to WiFi’ is both READ and WRITE compatible! Because the device works like a USB memory stick, your equipment can ‘Read and Write’ as if it were a normal USB memory stick. All files are read or written to a remote PC directory. This feature can also be used to generating logs, communicating with equipment, file sharing among many machines, etc. 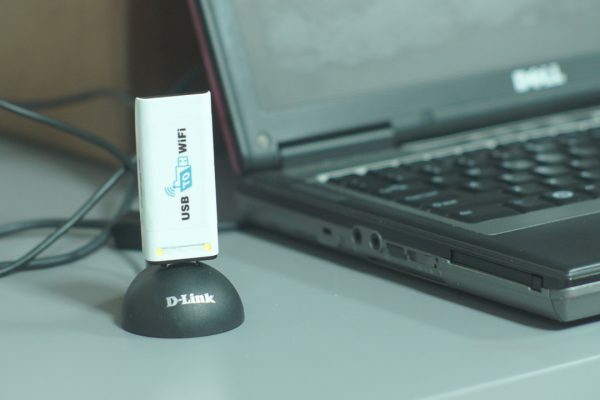 The device can work stand alone or with a network of devices The ‘USB to WiFi’ device can work stand alone, or it can be used with a network of other ‘USB to WiFi’ devices. If you have many machines you would like to network, this is an ideal solution. 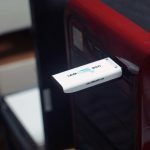 A Drag-and-Drop solution to file sharing over your WiFi network Wirelessly share files among devices and equipment via a wifi access point Using your standard Windows Operating system, remotely drag-and-drop files to the ‘USB to WiFi’ stick. The files can then be read off of the USB stick as if the USB sticker were an ordinary USB memory stick. 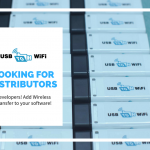 USB to WIFI – Looking for Distributors We are currently looking for worldwide distributors for the USB to WIFI device. 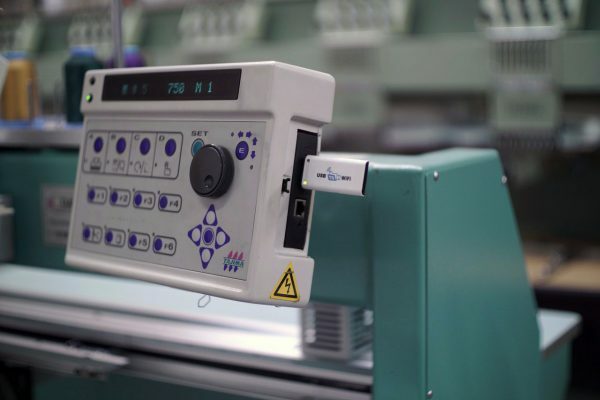 Ideal for industries such as CNC, metal working machines, 3D printers, printing, embroidery machines, kniting machines, small and large large factories, etc. Developers! 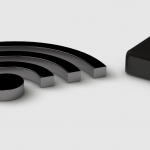 Add Wireless Transfer to your software! We are looking for worldwide distributors who can commit to 25-200+ purchases a month. If this applies to you, please contact us. Distributors are limited based on location and industry. 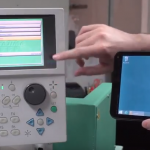 Tajima Graphical Display Wireless Transfer Wireless upgrade solution for TFMX, TFGN, TMAR Works on machines that cannot be upgraded to USB from Floppy. Also works on all other Tajima machines with USB or with the Floppy to USB upgrade such as TME-DC, TME-HC, TMFX, TFHX, etc. 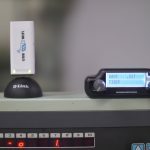 Wireless Flash Stick Transfer Files over WIFI – Wireless Flash Stick The USBtoWIFI device is a Wireless Flash Stick. It works just like your average USB Data Stick. However, the USB to WIFI device is WIRELESS! 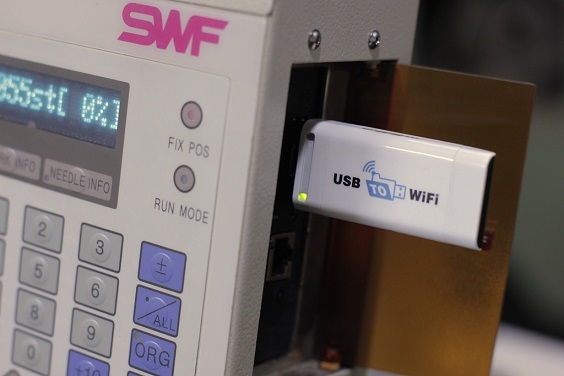 The USB to WIFI device reads files from a remote location and share those thru the USB port. This is an idea solution for devices with a USB port but that do not have a wireless solution.